The term netnography derives its name from ethnography and net – as in “the Internet.” Ethnography is a form of qualitative research conducted by researchers who enter - and gather data within - the cultural or sociological context that is the focus of their study. Ethnography and netnography share a set of attributes: Both approaches to the study of human behavior are descriptive (not experimental), use multiple methods, are adaptable to various contexts, and are immersive in nature. Social media research is subject to the same biases as any other form of research. Researchers tend to fall into quantitative camp or the qualitative camp, and so do the clients who commission and purchase their social media research findings. As with much qualitative research, netnography is geared to study the perceived and symbolic meanings, consumption patterns of online consumers, and other cultural information in the social context of digital environments (Kozinets, 2010). Netnography is also used to study the phenomenon of online sociability - a result of the online exchange of information. Social media traffic generally occurs without mediation. As such, this free behavior expressing honest perceptions and frank opinions provides a stream of data that can be followed over the long-term, enabling researchers to track and quantify changes over time, and use analytic tools and methods to generate insights. 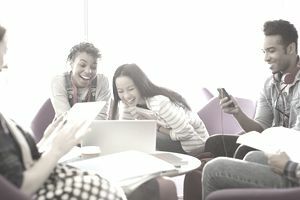 Just as ethnographic research includes an analysis of communication patterns and content within the online social contexts, this activity is also a netnographic technique of analysis. Ginga, Daiuchuu (2013), In the footsteps of Kozinets: Towards a new netnographic taxonimization . Journal of Internet Appreciation, pp. 418-419. Kozinets, Robert V. (1998. On netnography : Initial reflections on consumer research investigations of cyberculture,” In Joseph Alba and Wesley Hutchinson, (Eds. ), Advances in Consumer Research, Volume 25. Provo, UT: Association for Consumer Research, pp. 366-371. Kozinets, R. V. (2010). Netnography: The marketer’s secret weapon. White Paper. Muniz, A., Jr. and O’Guinn, T. C. (2001), Brand community. Journal of Consumer Research.